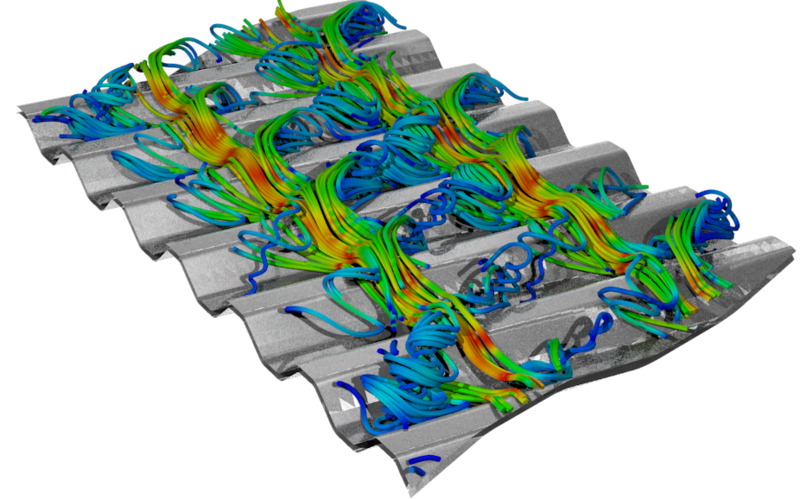 Using simulation methods, the design of compact heat exchangers for different flow regimes. Generic optimization of inflow/outflow conditions or detailed modification of surfaces structures are performed to set up cost efficient solutions. 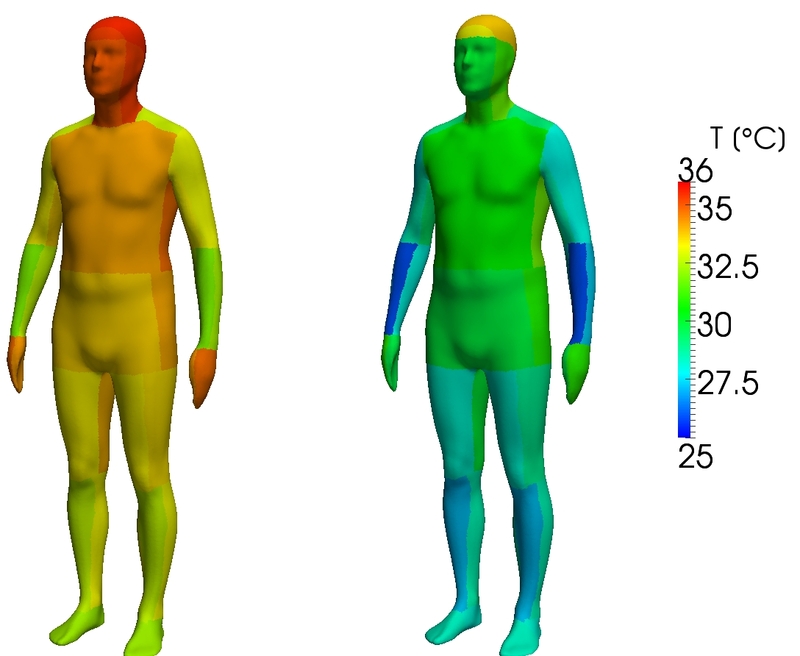 Simulation of comfort stages of the the human in different environments like car cabin, halls or airplane cabins using direct coupling of CFD and active and passive human thermoregulation systems including moisture transport. Realistc temperature distribution allow the evaluation of local comfort enhancement. Simulation of fouling processes on structured heat transfer surfaces. Determination of fouling probability and depostion rates and its impact on thermal resistance as well friction loss in compact heat exchangers. Application of porous media for simulation of flow including heat transfer through complex heat exchangers. Analysis of flow distribution and integral heat tranfer rates allow design changes with a minimal effort to enhance thermo-hydraulic efficiency.